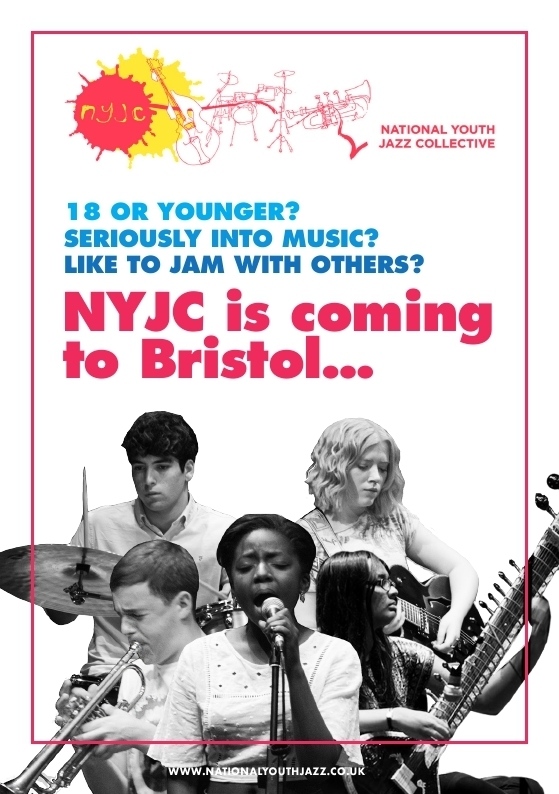 The closing date for applications to NYJC in Bristol was 9th October. We still have vacancies for 1 bass player and 3 frontline instrumentalists (eg brass, wind, strings, singers) and we will leave the application form open for a reserve list should any other players not take up their places. 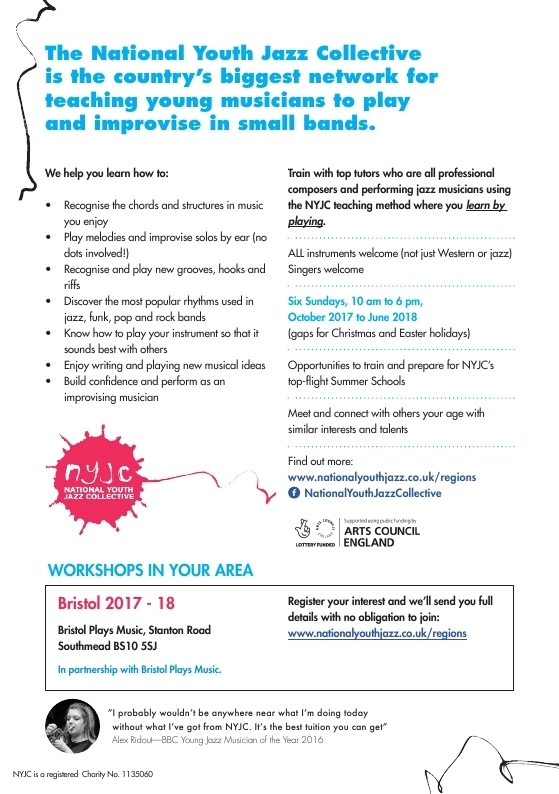 In partnership with Bristol Plays Music. The centre has good parking and will be familiar to many who play music around Bristol. We expect to have three ensembles: beginners, intermediate and advanced.